Since 2001, the former hospital on Nightingale Court in Rantoul housed as many as 450 migrant farmworkers and their families to work in the fields in central Illinois. But this year, its owner - Unique Storage Inc. - did not submit a migrant labor camp application for the site, known as Nightingale, according to the state public health department. 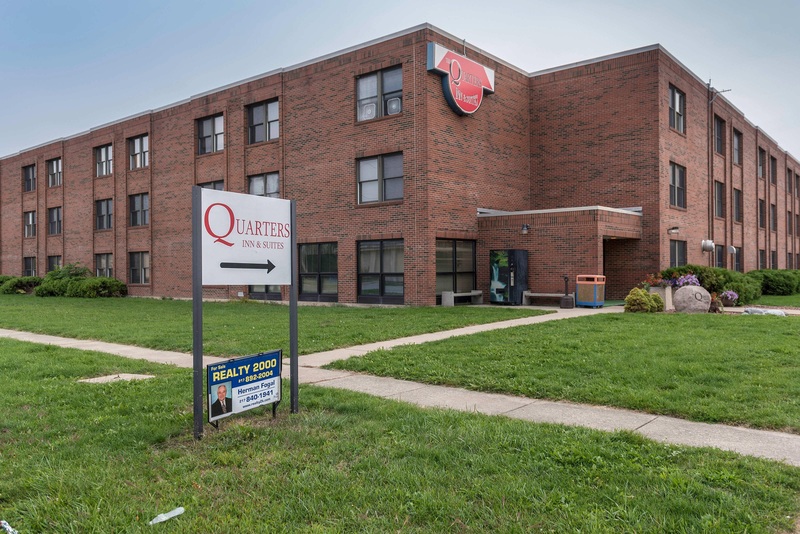 Instead, Unique Storage submitted an application to house the workers at Quarters Inn & Suites, a hotel on Enterprise Road in Rantoul, the past home of the University of Illinois football team during summer training camp. 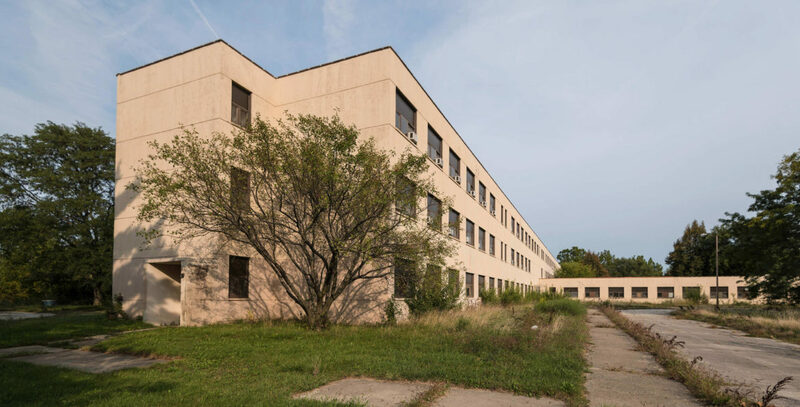 The facility, listed as Enterprise in the state’s migrant labor camp directory, can also accommodate 450 people, making it the largest of Illinois’ 18 registered housing facilities. Unique Storage, whose president is Timothy Mathews, has contracted in the past with Monsanto Co. to provide a place for migrant workers to stay. Neither Unique Storage or Monsanto responded to repeated requests for comment about why the old hospital – which had been cited for health violations over the years - was closed and new housing established at Quarters Inn & Suites. Flores, who has traveled to Rantoul from the Rio Grande Valley with her husband for the last 16 years, says the conditions are much better than what she experienced staying at Nightingale for more than a decade. The old hospital was located at the decommissioned Chanute Air Force Base. Missing light bulbs, busted smoke detectors and improper ventilation in the bathrooms were just a few of the migrant worker housing inspection violations Nightingale had accumulated over the years, according to Illinois Department of Public Health records. “Several rooms and the hallways would get wet when it rained,” said Flores, who switched from harvest to janitorial work 11 years ago. She’s paid to clean the public areas of the camp, such as stairwells, hallways and community spaces. Flores also recalled lights flickering frequently, and electrical breakers going out at Nightingale, something she doesn’t miss while cooking. But for her, one of the best upgrades at the Enterprise facility is that each room has its own restroom, instead of the shared restrooms found at the end of the halls at the old hospital. “For a while we thought the old hospital was bad,” said James Unzicker, regional outreach coordinator for Community Health Partnership of Illinois, an organization that provides primary healthcare services to seasonal farmworkers. Unzicker says that Enterprise and Eastland Suites, another facility where Monsanto houses workers this season, are very good. Generally, Unzicker’s organization hasn’t had to get involved when it comes to conditions at the housing facilities, he said, but the one exception was when migrant workers didn’t have access to laundry facilities one year. “We did work with them about washers and dryers,” Unzicker said, explaining that it’s important for workers exposed to pesticides and dust from the field to have clean clothes readily available. The Illinois Department of Public Health licenses camps that house 10 or more workers, or at least four families. In order to obtain its license, each camp must be inspected once prior to occupancy and once during the season after workers have arrived to check “the water supply system, sewage disposal system, food preparation facilities, fire safety conditions, and vector control,” according to the department’s website. The Midwest Center for Investigative Reporting wrote last year that in 2014, Nightingale was cited for nine violations in its initial inspection. In the follow-up visit one month later, officials with the department of health noted that several problems persisted, including broken telephone lines, malfunctioning fire extinguishers and issues with the plumbing. More recent inspection reports from 2015 and 2016 reveal that the facilities occupancy had declined from 450 to 250. The documents also showed similar citations to those of previous years, such as the need to replace dirty or stained mattress covers, install mechanical ventilation systems in the bathrooms and adjust air conditioning units to keep out insects and pests. The follow-up inspection report from 2015 showed that all violations had been corrected by the deadline in order to remain operational. In 2016, all of the five violations were addressed prior to occupancy, but a follow-up inspection cited three additional deficiencies that needed to be corrected, including providing additional waste containers inside the building and replacing missing smoke detectors. The forms show all three of those violations were corrected the day of the inspection. Unique Storage purchased the building on the former Air Force base in 2001 for $180,000, according to Champaign County Assessment Office records, and is still listed as the owner of the property, which is currently valued at $286,786.